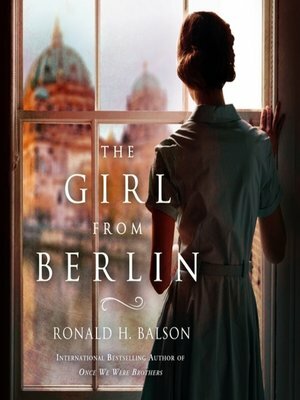 Ron Balson, "The Girl From Berlin"
RONALD H. BALSON is a Chicago trial attorney, an educator, and writer. His practice has taken him to several international venues including Poland, which served as the inspiration for his first best selling novel, Once We Were Brothers. A love of history, the Middle East, and traveling inspired his second novel, Saving Sophie. Drawing on the true life story of a Holocaust survivor, Ron wrote Karolina’s Twins, another international bestseller. His fourth book, The Trust, is a dark mystery set in the historical setting of Northern Ireland. He returns to World War II for his upcoming novel, The Girl From Berlin. Ron was a finalist for the Harper Lee Award for Legal Fiction in 2014 and a finalist for the Premio Bancarella Italian Literature Award. 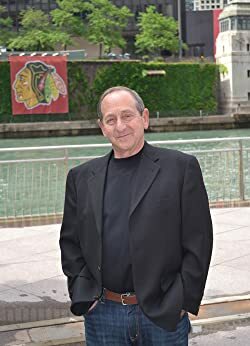 He was an honoree at the Chicago Public Library Foundation’s Carl Sandburg Literary Award dinner and is a frequent personality of radio and public television. Ada Baumgarten was born in Berlin in 1918, at the end of the war. The daughter of an accomplished first-chair violinist in the prestigious Berlin Philharmonic, and herself a violin prodigy, Ada’s life was full of the rich culture of Berlin’s interwar society. She formed a deep attachment to her childhood friend Kurt, but they were torn apart by the growing unrest as her Jewish family came under suspicion. As the tides of history turned, it was her extraordinary talent that would carry her through an unraveling society turned to war, and make her a target even as it saved her, allowing her to move to Bologna―though Italy was not the haven her family had hoped, and further heartache awaited. What became of Ada? How is she connected to the conflicting land deeds of a small Italian villa? As they dig through the layers of lies, corruption, and human evil, Catherine and Liam uncover an unfinished story of heart, redemption, and hope―the ending of which is yet to be written.